It takes one software package, HFX controller and VFX display to run and monitor the performance of all the moving parts of your machines - pumps, valves, cylinders, motors, steering, etc. Combine that with our knowledgeable Applied P1 engineers, Eaton technical support and access to the largest inventory of electrical and hydraulic products in the world and we can engineer a custom solution that meets your performance goals. 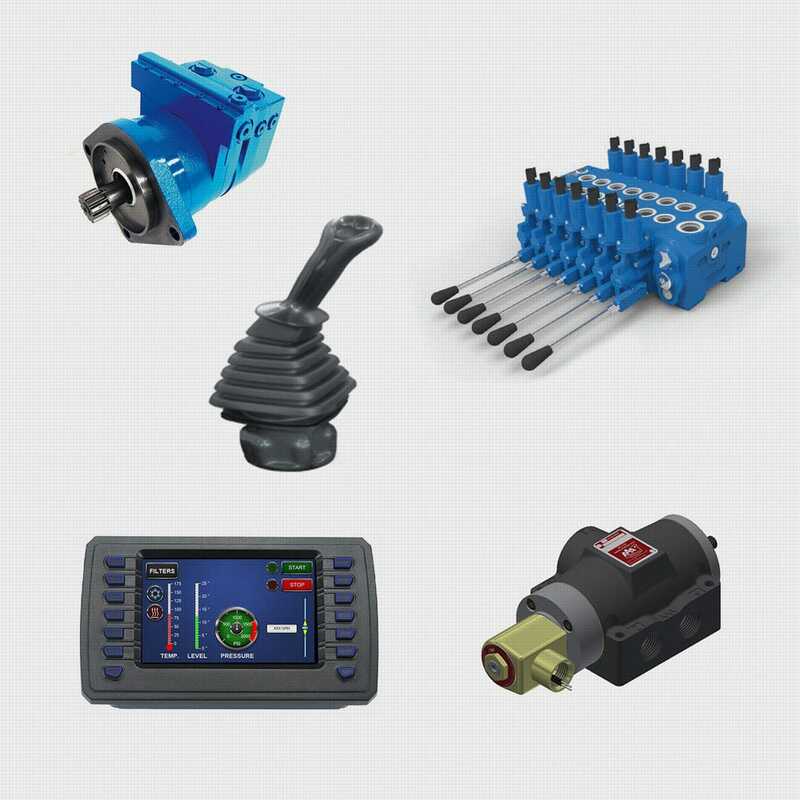 Our selection of dependable control products are engineered to meet the needs of even the most challenging mobile applications and demanding industrial environments.